To me Santiago de Chile is vertiginous; not because it makes you feel sick, but because when you visit, it feels like there is so much around you. When I first got in the lift from the colourful Bellavista barrio to the Cerro San Cristóbal I could feel how everything was moving and how people were scared whilst looking down. After approximately 8 minutes, the lift stopped and all the passengers were relieved. Then, I looked at the view that was standing in front of me. It was Santiago and I remember that I thought: This city must be wonderful. And so it is. These are my 5 reasons to fall in love with it. 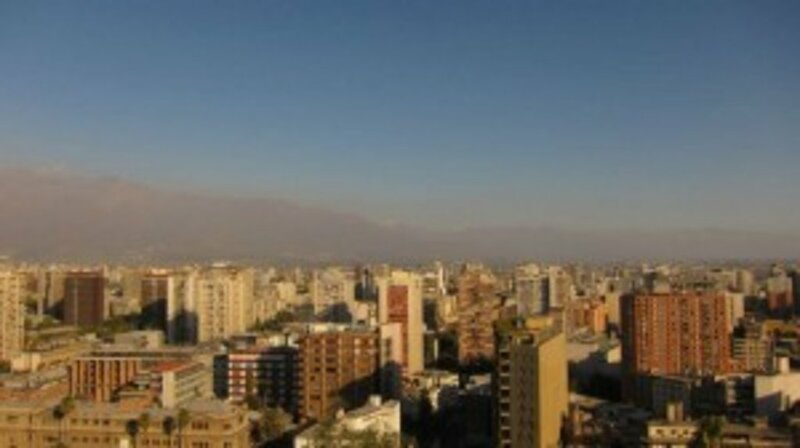 Santiago de Chile is not one of those places that you can describe because of its attractions. It is instead, a city that you need to discover by walking. The city is composed of 7 districts, all very different from each other. For instance, the Historic Centre is still the traditional financial area and Sanhattan is the new financial district of the country. If there is a place in Santiago to enjoy a walk whilst enjoying the sunshine, it is Bellavista. Here you will find street markets, lively bars and some little treasures like La Chascona, one of the Neruda' s houses, that offers tours during the day. If you fancy a chela (the local name for beer) I suggest La Casa en el Aire (0125, Antonia López de Bello). There is so much behind Santiago that you will feel that you need more days to find out all about its story. It is enough merely to visit The Moneda palace and stand just outside, where the Allende´s statue is, to feel you are literally at the heart of the saddest episode of its Contemporary history. After this stop, there is still another mandatory visit: The Museum of Memory and Human Rights (501, Matucana) that offers more information about the suffering Pinochet years. Some colourful and very interesting museums I recommend are the Museum of Pre-Columbian Art (for an abundant collection of Latin American artefacts and paintings) and the National Museum of Fine Arts. If you are a vintage lover you can't leave Santiago without visiting Barrio Italia, a small district that has recently turned into one of the trendiest places in the city. These streets will surprise you with a huge selection of great design stores and independent cafes located in galleries inside of old buildings. Barrio Italia is definitely a must for travellers and it's the ideal corner of the city to feel its European influence - remember this is South America, so on Saturdays shops start to open at 2.pm. For cool antiques pop in at La Polilla en la Buhardilla (1483, Condell). Chile is like a straw-shaped country, so it takes quite a lot of time to cross it from north to south but, instead you can get to the coast in approximately an hour and a half. In this sense Valparaíso is probably the most attractive option to explore and it's here where the great Pablo Neruda had one of his houses, La Sebastiana. The poet said about this town: "Valparaíso, how absurd you are...you haven't combed your hair, you've never had time to get dressed, life has always surprised you...".But Neruda wasn't the only one in getting inspired by this place, a whole generation of poets, painters and philosophers found in this land the charm of a place with beautiful sea views and a bohemian culture. Valparaíso is special because it's unusual and spontaneous. To experience the city you just need to follow all those posters that indicate to go up and reach the top of the little chaotic hills. Yes, the best advice here is to get lost along the narrow streets. For great art nouveau, visit Palacio Barburizza in Cerro Alegre. Let's be honest, Chile hasn't got a special cuisine if you compare the country with its neighbours, Peru and Argentine. However, it´s more than worth it to try its diversity of dishes such as the asado (roast) empanadas or el pastel de choclo (a Chilean meat pie) and of course the delicious seafood available due to its proximity to the coast. For a proper lunch I strongly recommend the Mercado Central (it was opened in 1872). Make sure you skip the touristy restaurants and head for one of the tiny tascas located around the market. Last but not least: Don't forget to try the pisco sour, a typical South American cocktail, which contains liquor, lime juice and syrup. When the time to leave the city arrived I thought I wish I could stay more, because it's the truth that there is always something left to see, smell and feel in Santiago.